Add value to the conversation with targeted content. Kompyte displays an endless stream of the highest converting topics and social media ideas. The platform helps you identify the content most likely to engage your followers and increase interactions from your audience. Gain a competitive advantage when sharing new content. Fill your calendar with the most attractive content in your industry and target the perfect audience. Kompyte gives you data about the best time and platform to share your content. Kompyte’s proprietary Impact Score shows you which content is working for your competition and helps you identify the topics and content styles your shared audience loves. Kompyte reveals your competitor’s content distribution strategy; showing how often, when and where they are publishing their online articles and posts. Learn the content strategies that perform best. 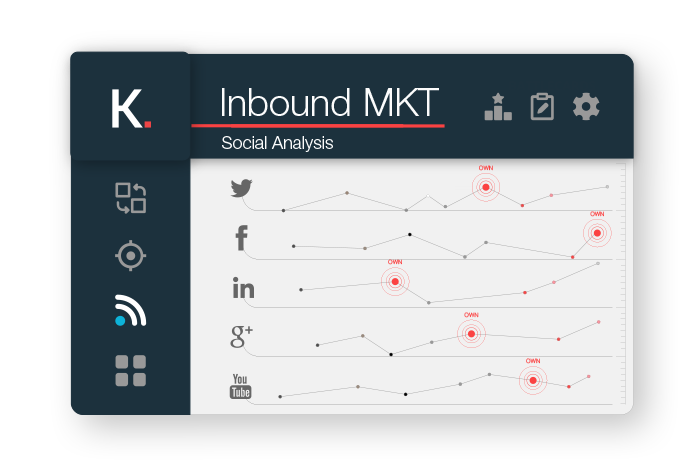 Kompyte’s proprietary social analytics and content performance benchmarks display detailed competitive KPIs. 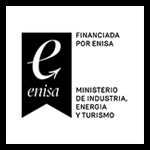 Set achievable goals based on industry benchmarks and feel confident about your performance. 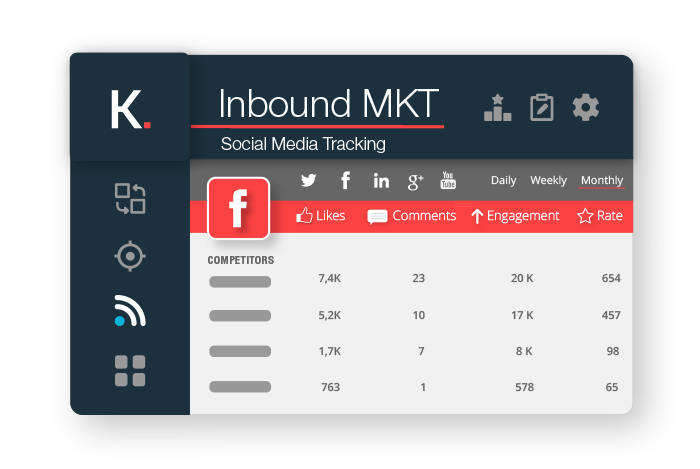 Kompyte tracks your competitor’s social profiles in real-time and provides detailed analytics and KPIs. 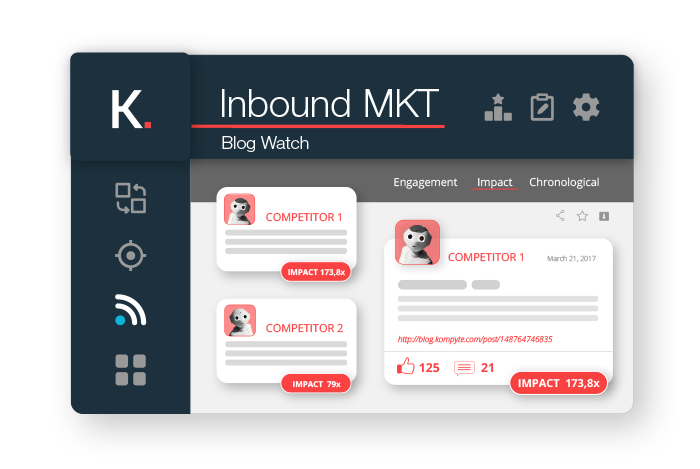 Use real-time Impact Score, a metric based on the number of likes, comments and shares a post receives compared to the average, to reveal your competition’s best content. Kompyte subscribes to your competitor’s blog and content feeds. 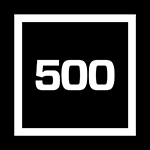 View all the content they publish as well as each article’s social engagement. Identify which content is performing the best and perfect your own content strategy. 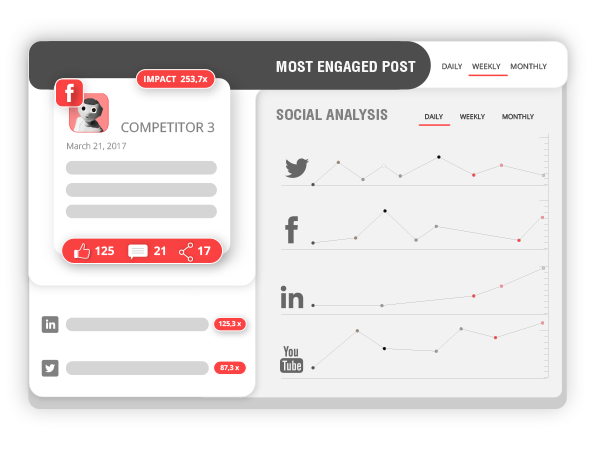 Kompyte’s benchmarks your social content engagement against the competition including a complete social media analysis. Evaluate the competition’s average number of posts versus audience interaction and maximize your company’s impact. Kompyte gives you all the data to optimize your content marketing strategy.